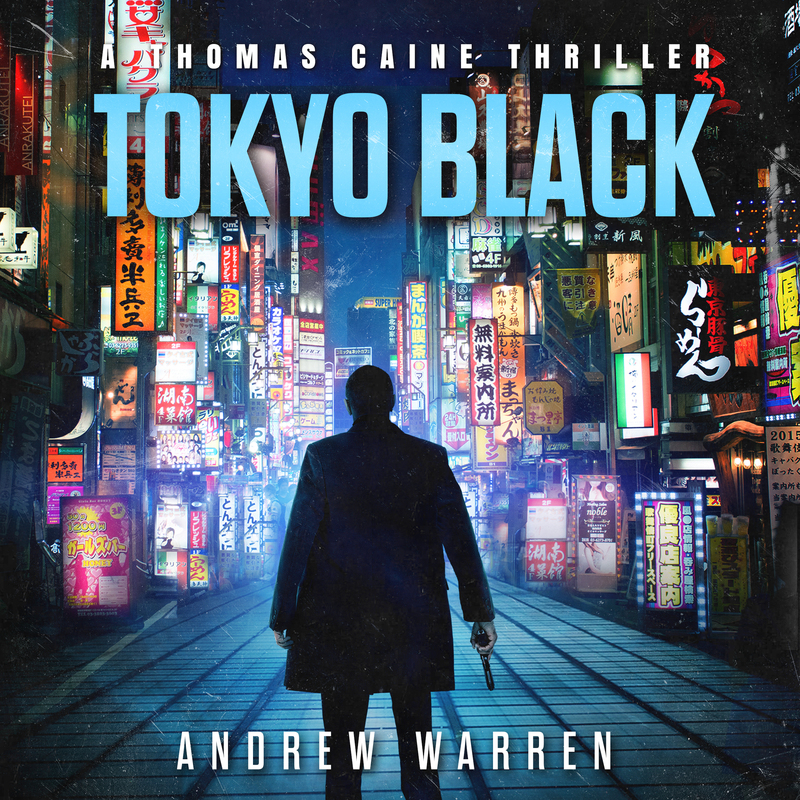 I love hearing from my readers, and one of the most common questions they have for me is: “When will the audiobooks for Tokyo Black and Red Phoenix be released?” Well, I’m happy to say I finally have an answer to that query: Very soon! I was originally planning to produce these audiobooks myself, through Amazon’s ACX program. But here’s the thing… producing audiobooks is a time consuming affair. Between recording the manuscript, noting each chapter, checking pronunciation, re-recording takes, etc. it’s hours and hours of work, both for me, and for the narrator. And for a big book like Red Phoenix, I knew the process would take even longer. 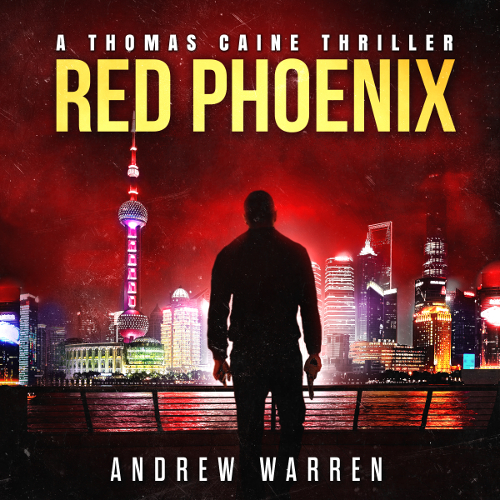 As much as I enjoyed working on the Devil’s Due audiobook, the truth is I would rather spend that time writing new Caine novels, as well as some other projects I have ideas for. So when the people at Tantor contacted me, and we were able to agree on terms, it was a like a huge weight was lifted off my shoulders. As a company, Tantor knows that they are doing in the audiobook space. Last year, they published over 1500 audiobooks, and they have a back catalog of 22,000 titles. Some of their prestigious releases include The Life We Bury by Allen Eskens, Sapiens by Yuval Noah Harari, Island by Aldous Huxley, and The Way of the Seal by Mark Divine. And here’s a cool trivia tidbit… Tantor Media takes its name from Tarzan’s Elephant companion in Edgar Rice Burroughs classic adventure tale. In fact, Tarzan was the first audiobook they ever published. Well, personally, I am a huge ERB fan, and when I heard that I knew Caine would be in good hands. Tantor and I worked together to select a narrator, and I can’t wait for you guys to give a listen to Mr. Jonathan Davis. Mr. Davis is a three-time recipient and fourteen-time nominee of the prestigious Audie Award. He has narrated numerous best selling thrillers, as well as several novels in the Star Wars franchise. Recently, he narrated the audiobook novelization of the smash hit film Rogue One! So as you can see (or rather, hear), Mr. Davis clearly has the chops to take on the dark, gritty world of Thomas Caine. And since Tantor has an efficient, streamlined production process in place, I’ve been assured that the books will be released very quickly… hopefully in a just couple months. While you’re waiting, don’t forget you can still get the Devil’s Due audiobook here. Devil’s Due, Tokyo Black, and Red Phoenix are all available at Amazon as ebooks, and are enrolled in the KU program. I promise I’ll keep you all up to date on the new releases, and I will post links once they are released on the major platforms. Just finished Red Phoenix. What a great novel. Just finished writing a review on Amazon and I hope it did justice to your writing skills. I have all three of your novels on my Kindle, however, I sure wish you could get your novels published in book form. I believe a hardback o r paperback edition would do great in sales for you. Well anyway hope you keep writing this series I truly enjoy your work. Thank you so much Howard! I truly appreciate it! And yes, print books are definitely on my to do list… This year for sure. Thank you again, and happy Easter!